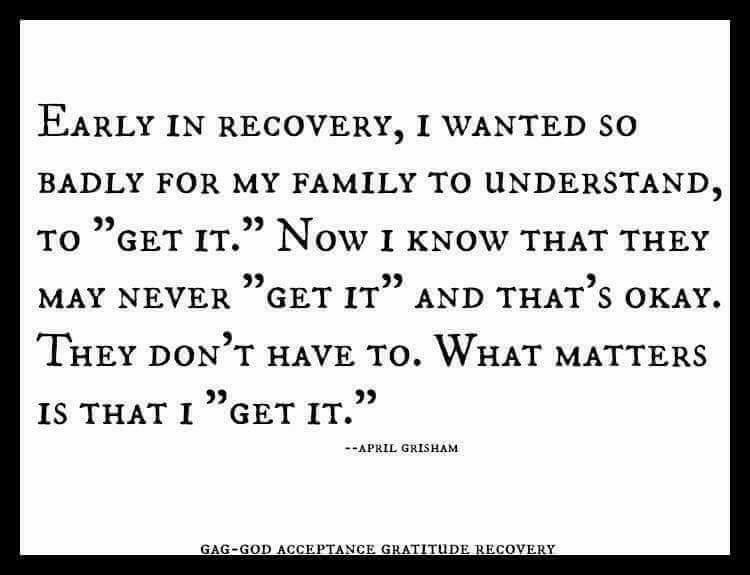 I read this quote from a person in recovery and it broke my heart for many reasons. First, because I have known so many families that have been torn apart by the disease of addiction. And second, because there is hope and there are solutions available. Just as there are recovery programs for those suffering from alcoholism and/or drug addiction, so there are opportunities for families to learn ways to change themselves as well. When a Loved One is grappling with substance use, the family becomes twisted and gnarled. When the Loved One comes to recovery, whether through some form of rehabilitation or through a 12 step or other support program, the family remains twisted. Unless the family seeks help for themselves, they cannot get well. If the addict comes home to the same insanity he or she left, his or her chances of long term recovery are lessened. Family Recovery Life Coaching provides education and tools to help the family engage in self-care and support for their Loved One. The family has a choice — it can be the addict’s best chance at recovery — or relapse. The family has the power to choose….we are always at choice.